Sensing Systems offers in-house and field strain gaging services. Our engineers and technicians are found in a wide range of locations, from hydroelectric plants in the jungles of Ecuador to bridges in New York City and shipyards in Wisconsin. All field and laboratory installations are performed using standard strain gaging procedures. Depending on the application we will also customize procedures to meet specific gaging objectives. 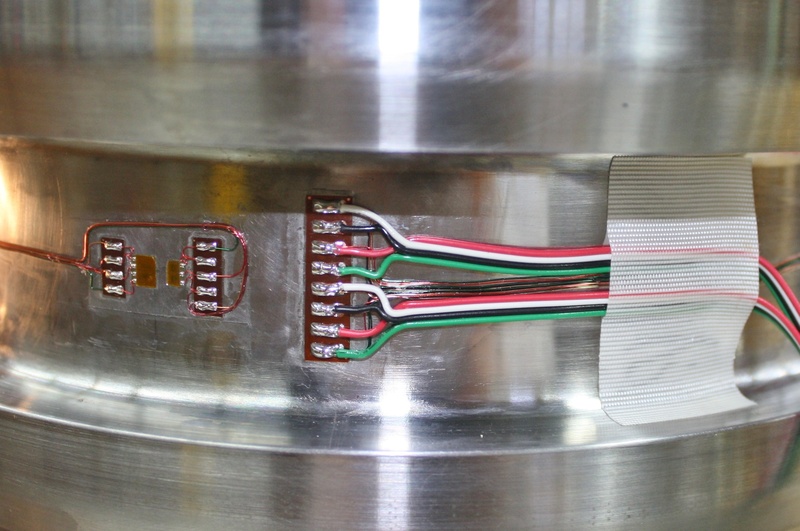 Sensing Systems routinely strain gages parts and components to be used in cryogenic environments and at very high temperatures. These units are designed to operate in a wide temperature range from -452˚F to 450˚F (-269˚C to 230˚C). We also instrument parts, equipment, and structures for use up to 1,300˚F (704˚C). These installations may also be done in the laboratory or in the field. Sensing Systems designs and manufactures load cells and torque sensors for underwater or submersible applications. We can use the same submersible/underwater capable materials and procedures to instrument customer’s components if underwater operation is required. These installations also require special underwater cabling and/or submersible connectors. Sensing Systems strain gages parts for customers on a continuous basis. 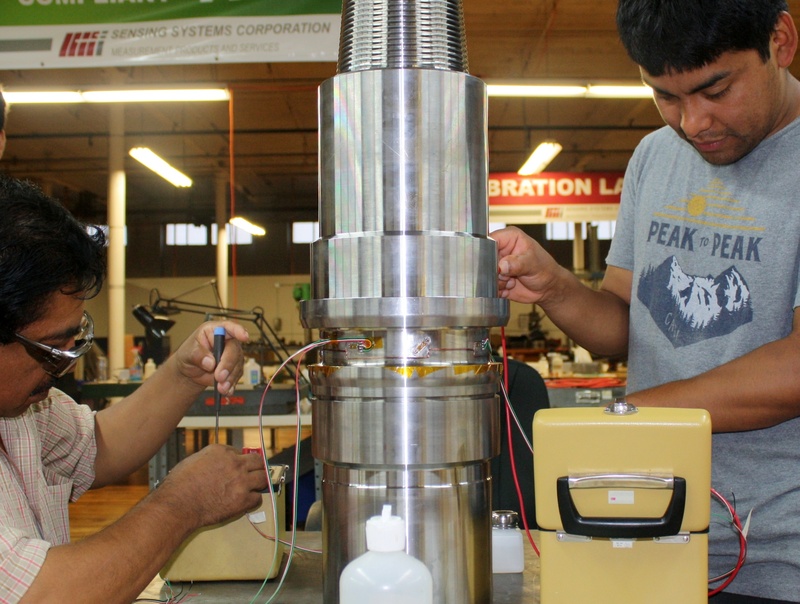 For these customers we design and fabricate strain gaging fixtures to be used during the instrumentation process. These fixtures result in time savings, uniform and reliable installations, and long term cost savings. 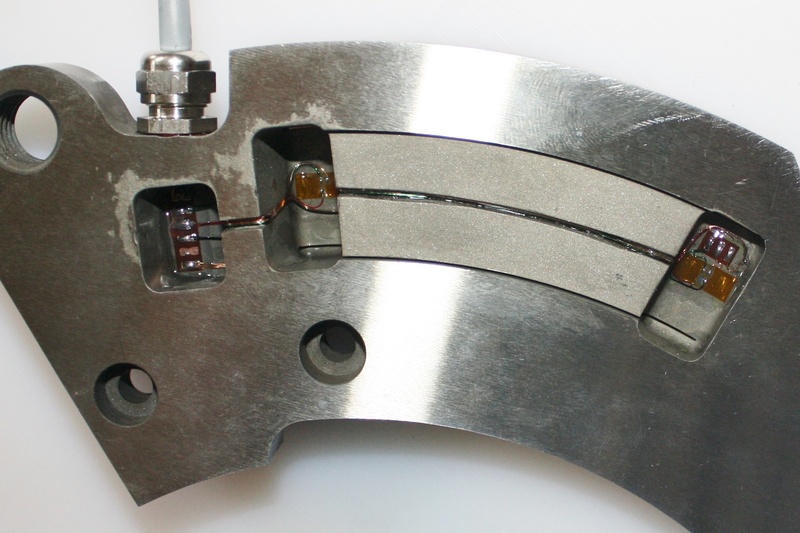 Our customers may specify the type of strain gage installation they desire. We will review the intended application and suggest and/or recommend the type of installation that meets the performance to cost criteria desired by our customer. We routinely instrument components using one to thirty two strain gages in a single installation. We will apply as many gages as needed to measure the desired variable and compensate for all unwanted effects. We will use our expertise and experience to recommend the number, location, type, and wiring configuration to accomplish the best possible measurement. Strain gage installations need to be protected from potential damage due to the environment in which they operate. Environmental conditions vary greatly between laboratory operation and exposed field conditions. Protection of strain gage installations should be commensurate with the environment in which they operate. Sensing Systems will recommend and use the materials and procedures that will ensure survivability of each installation. 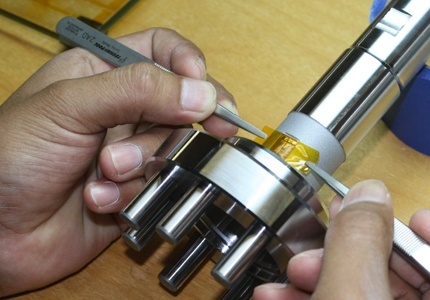 A natural extension of strain gaging services is the calibration of the instrumented parts. Sensing Systems offers a full range of Calibration Services. Calibrations may be performed in the laboratory or in the field through the use of loading fixtures. All calibrations performed by Sensing Systems use NIST traceable standards. STRAIN gaging courses at customer's or Sensing Systems facilities. Sensing Systems conducts strain gaging courses at our laboratories and at our customer's facilities. Courses include basic theory along with actual installations on customer's equipment or components. We provide the materials and supplies required to perform actual installations. Specific strain gaging equipment may also be purchased through Sensing Systems to be used during the course and beyond. We recognize the need for fast turn around especially for prototypes and time critical production parts. When requested, we will work overnight and ship parts in one day or as soon as they are finished. Standard turnaround time from receipt of parts to shipping is one to two weeks. More typical projects include scheduled deliveries in which units are shipped at timed intervals. Our engineers routinely design custom sensors utilizing strain gages and sensing elements of every imaginable size, type and configuration. We also travel the world performing field strain gaging on machinery and structures of every size and in all environments. We will consult with the customer and make recommendations related to the number of gages, location, bonding orientation, wiring, and environmental protection issues. Alternatively, if instructed to do so, we will perform all work strictly following our customer’s instructions and procedures. Do you have a specific question regarding strain gaging? If you have a unique need, don't hesitate to contact one of our qualified specialists! We’ll be glad to answer any specific question you may have.